Just 2.2 miles to Yoncalla you will find this 11 acre equestrian property. 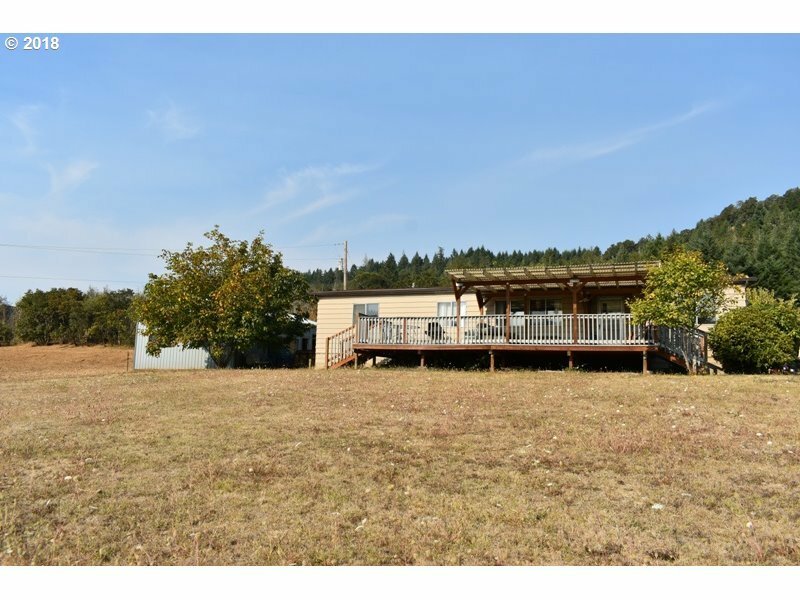 Several fenced pastures, 12 stall barn, loafing barn, shop, and more. 3 bedroom, 2 bathroom, 1 level 1980's manufactured home. Valley, mountain, and pasture views from the covered front deck. Easy on off access to the freeway. Well, septic, and more. Shown by appointment only.